Here's the third and last report (for now) of Solenn fever. 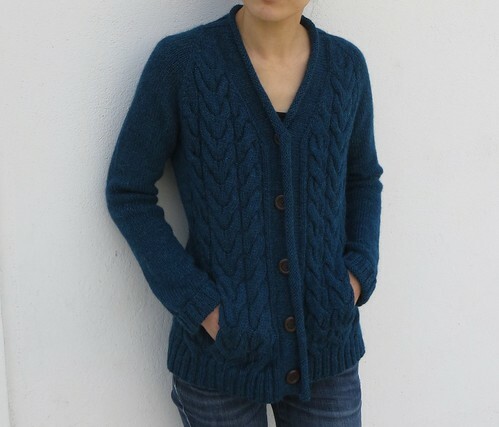 This raglan cables jacket, named Lucky (me), is the pattern I'd wanted to knit for one year. I translated it into Japanese last year and it was a smash hit of my online store. 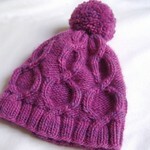 And I loved knitting it! 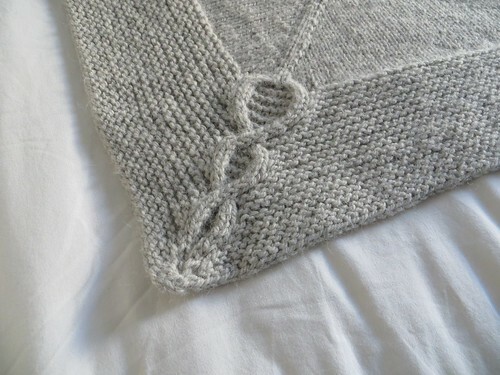 It's worked from the top down, you increase for raglan and fronts and incorporate as you go the cables (worked symmetrically). 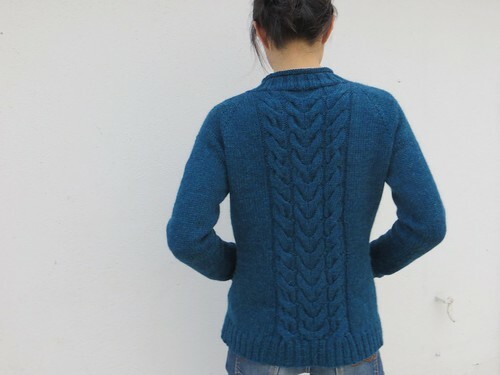 After the waist shaping, you make these pockets hidden in cables, it was really fun! The details are really well thought too. 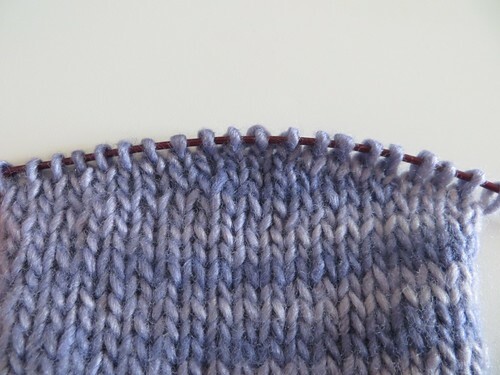 At the very last row of cables, sts number is adjusted so that cables flow into ribbing. 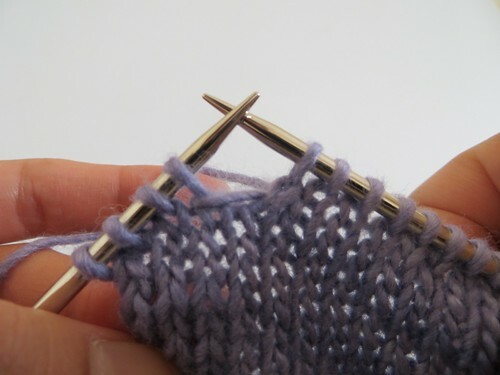 Two sides of pocket lining are knitted with the body, you just have one side to seam. Buttonband is worked in St st, but the back neck you don't sew buttons on is worked in ribbing to keep the edge from rolling up overmuch. And I just followed literally the instructions, it's fuss-free! I used Lima from Drops, a lighter version of Nepal that I used for Quadrature for Korrigan. As the latter, it's warm and cozy, slightly fluffy (and very reasonable). For the buttons, I chosen dark wooden ones that match this stylish simplicity of the jacket. They are from La droguerie. We had some sunny, warm, springlike days in the northern half of France at the beginning of March, but it's gotten cold again, I'll have some chances to wrap myself up in this jacket, lucky me! As promised, here's a report on the first symptom of Solenn fever. It's named Lancelot, after one of the Knights of the Round Table (please do NOT pronounce the "t"! 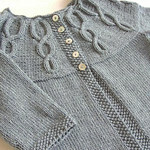 ), a pullover pattern for boys that I transformed in dress. 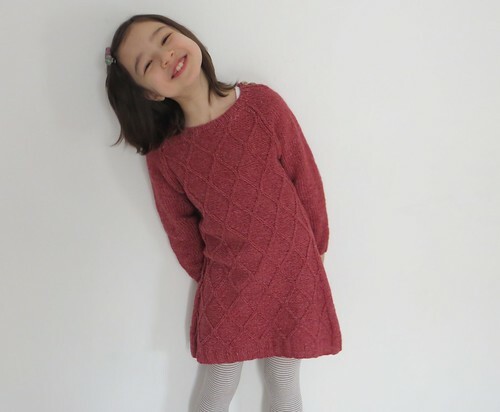 I don't claim the paternity of this idea: I'd seen a red and straight tunic project on Ravelry, knitted for a girl of 12 years old. But my daughter is only 7 and a half years old, and must be more active than a big girl. Hence the idea of making a dress with a flared skirt. The pattern having a reputation of being cut small, I chose 8Y size. For the dimensions of the skirt, I was based on a dress found in a Phildar's catalog (8Y), and started with 152 sts (more sts than 12Y, the largest size) - that give me 80 cm /32" of circumference. After the hem, I decreased every 10 rnds at each side of the front panel and at 1 st from the side markers for back (- 4 sts each time). After dec til 128 sts, I increased once to have 132 sts (8Y) for waist shaping. That was also to easily follow instructions of raglan decrease. I also modified the sleeves, beginning with less sts and increasing "evenly" to 8Y sts count - in the pattern, increases stop at the elbow. My daughter can run and/or dance! 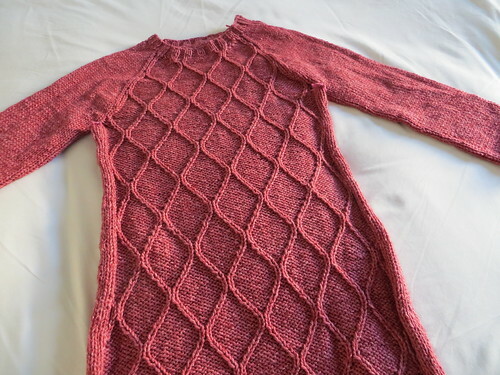 I used Balance from o-wool, a cotton-wool blend yarn, because she's always complaining that it's hot and I was afraid she would never wear it if it's 100% wool. 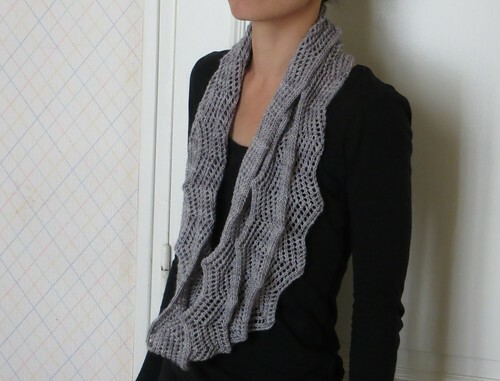 The balance is just perfect, neither too hot nor too cool, and this yarn is organic! I just regret that it's a little too short and it cannot be worn as a dress next year. The sleeves are a little too large as this pattern is designed for boys. I'll certainly adjust it next year. The last words on the pattern, that is very clearly written (in French), and the front panel motif is very addictive, simple, efficient and easier than it looks like (just 2 sts to cross!). 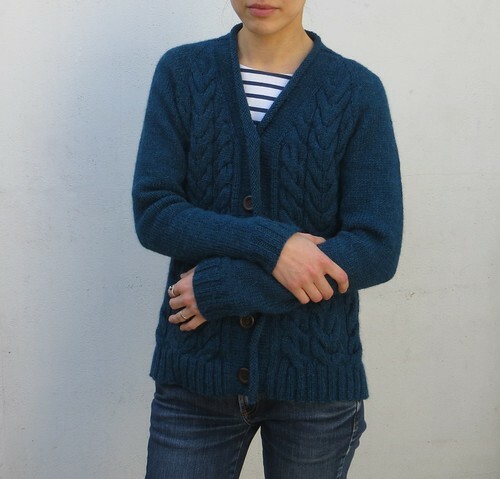 I add that I used about 625 m - euh, 683 yards, thanks Ravelry -, instead of 600 m for 8Y size pullover. It's a new disease, I'd had some precursors here and there for a few years, but it broke out a couple of months ago. The last one is very recent, as for the two first, they've come to end. I'm reporting them shortly. I used for this project Sock from Madelintosh which has less yardage than Tosh Merino Light used in the pattern (and I almost used up the skein, just 30 cm/12" left, that's cool). 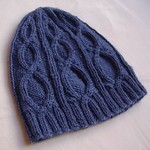 Because of this and which can often happen with lace projects, my project was really short just after the knitting. 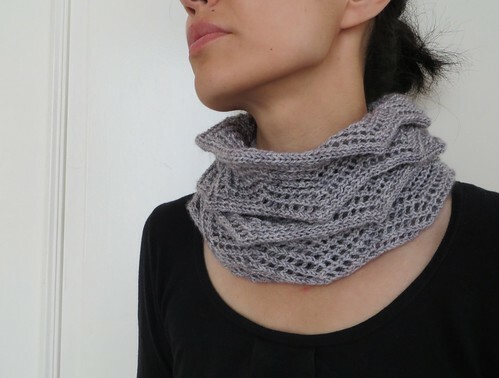 I therefore decided to make it a cowl instead of a scarf. Grafting finished, I first soaked the work, and let it dry on a towel like a pullover. All the spikes were flattened down, it looked like a simple lace cowl... Needless to say I was super disappointed. 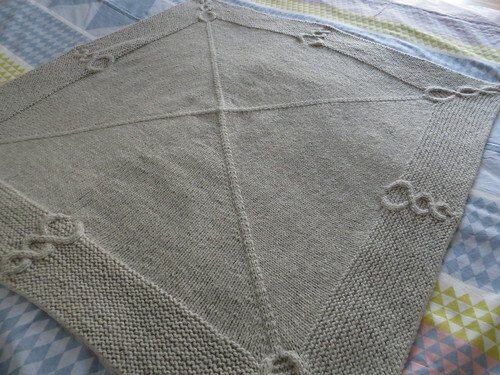 Crossing my fingers, I redid the blocking, letting it dry in the shape of spikes. But it's the form of cowl, a large circle, that was hard to manage. 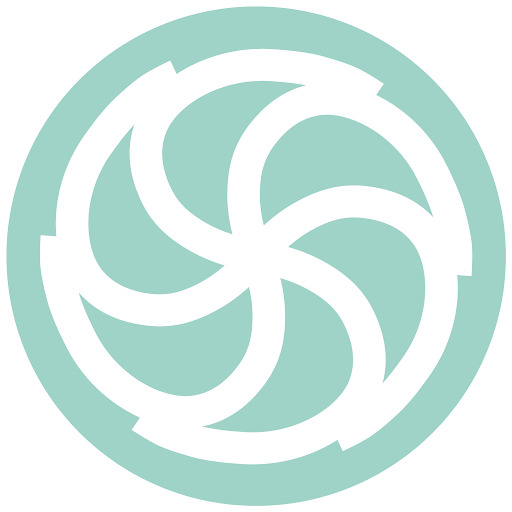 Spikes are pointed on the inner side of circle, but flatter on the outer circle. I changed, how to say, the direction? when it was yet wet - inner side on outer side and outer side on inner side. 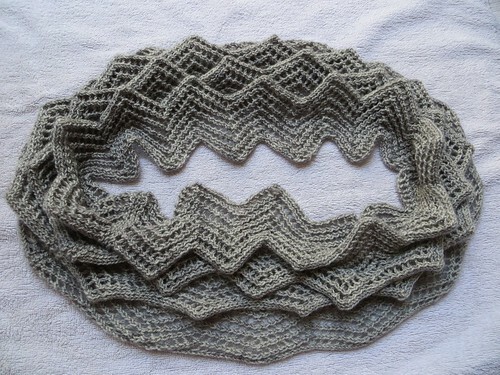 Here's the finished cowl, worn in single circle. As promised in the second to last post, here's a tutorial of a new? short rows technique - mix of W&T and Japanese method. 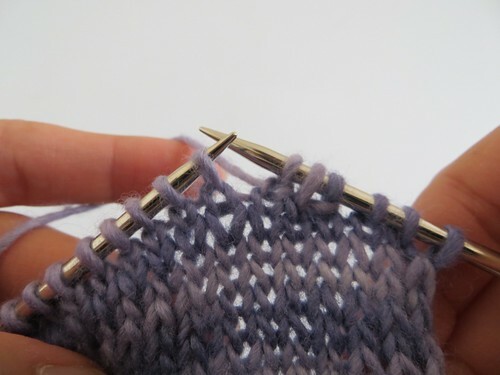 On RS, as with W&T method, you knit to the turn-back point, slip one stitch, and bring your working yarn in front. I usually replace wrapped st on LN before turning work so as not to lose it. Turn work and bring back working yarn in front (WS of work now). 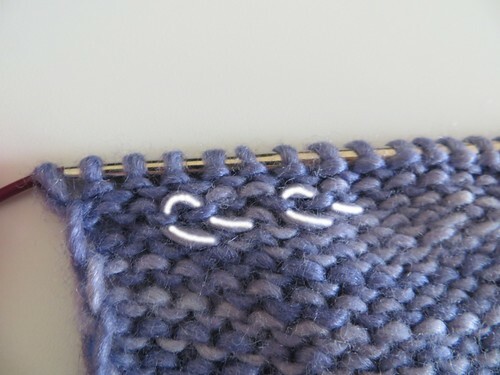 And - it's the crucial point - slip the first st with yarn in front (photo), instead of purling it. 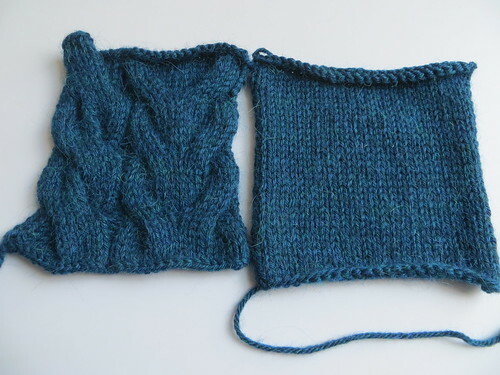 On the photo, I purled the second st.
And you resolve the gap as W&T method: on RS, you work to wrapped st (photo) and lifting wrap with RN tip, knit together with the st. Here's the result from WS. 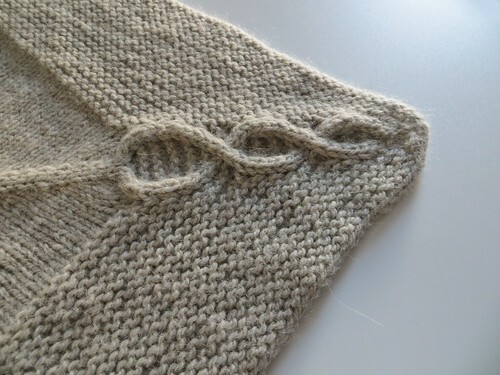 Wrap is longer with this technique; yarn goes across slipped sts. On WS, you proceed as on RS. 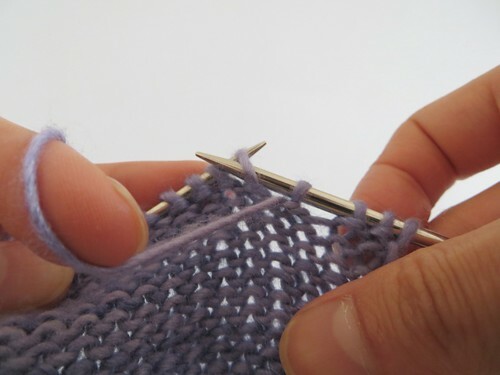 You purl to the turn-back point, slip one stitch on RN and bring your working yarn in back. 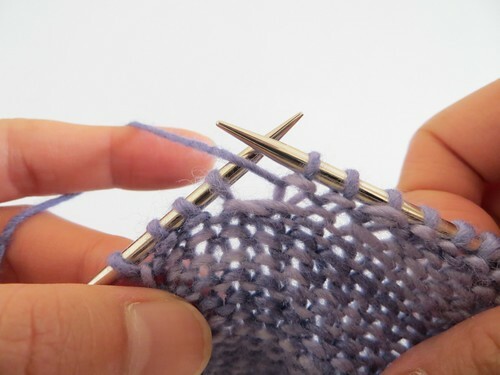 Replace the st on LN, turn work, bring the yarn in back. And slip the first st wyib (photo). 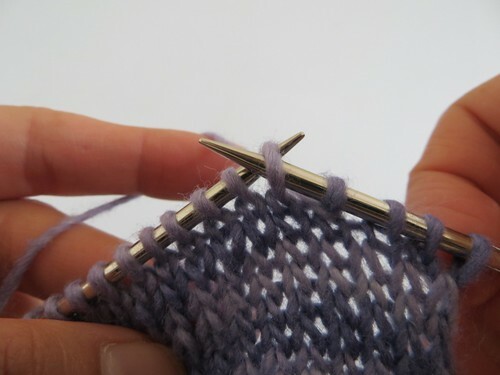 Here, I knitted the second st.
To resolve the gap, when you come back to wrapped st (photo), lift the wrap onto LN inserting RN tip into wrap from the bottom in back. 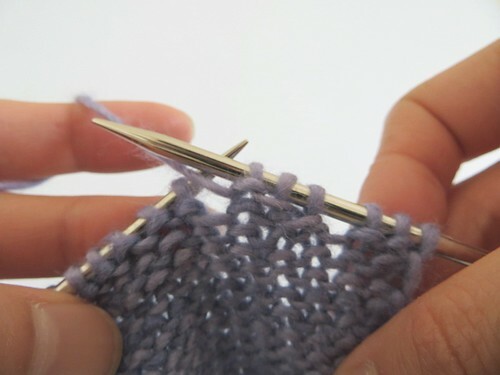 Purl the wrap and the st together. That's what you do with W&T! And what is striking is that you obtain the same result as Japanese method 2 (slipped st and yo). This is indeed totally logical because, instead of keeping turn loops on the needle with yo, we wrap it around sts. The result on RS is just as neat and what's more, you don't need to reverse YO and st to purl on WS :) Not bad, is it? We can call this way Japanese Wrap & Turn! 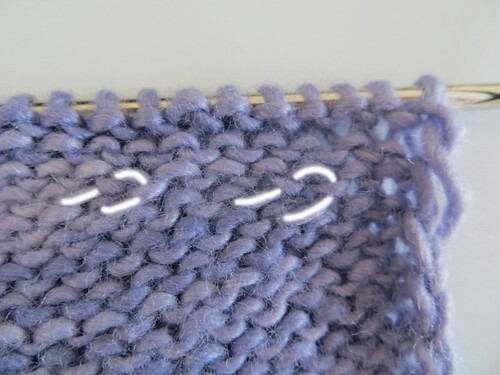 To be honnest, I have to add that this result on RS is the same as German short rows technique (or double st) - and conncecting loop on WS is nonexistent with German method, which provides even neater fabric. But if you're used to W&T, this Japanese W&T is a good compromise!